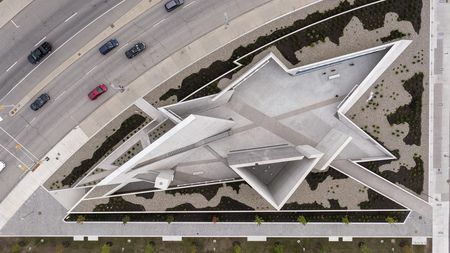 Hear internationally-renowned Polish-American architect Daniel Libeskind, principal of Studio Daniel Libeskind, discuss projects such as One World Trade Centre in New York, Denver Art Museum and his numerous memorial projects. Libeskind established his architecture studio in Berlin in 1989 after winning the competition to build the Jewish Museum in Berlin. In 2003 Studio Libeskind moved its headquarters to New York to oversee the masterplan for the World Trade Center redevelopment. His practice extends from museums and concert halls to convention centers, universities, hotels, shopping centers, and residential projects. Join us on 16 April for this special opportunity to discuss Libeskind's architectural practice and recent projects. With innovation at its core, a global reach and a tradition of collaborating with celebrated architects and designers, the VitrA bathroom brand has become a world leader, synonymous with contemporary sophistication since the mid-1900s. £12 Standard, £6 RIBA Member.